PIF fundraises at the Auckland International Cultural Festival 2019 – Pearl Of The Islands Foundation Inc. 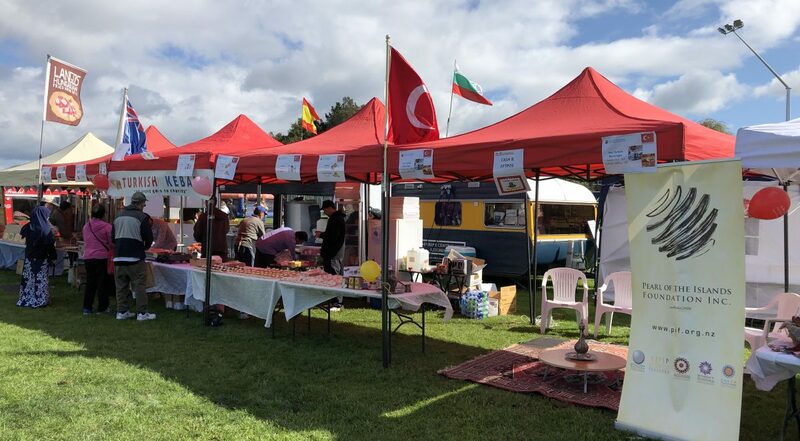 It was a pleasure to fundraise at the Auckland International Cultural Festival once again this year. Foods sold as part of our fundraiser included doner kebab, kebab on skewers, baklava, Turkish delight, Turkish coffee and apple tea. We were delighted so many people turned out on a beautiful sunny day and visited our stalls. The festival kicked-off with Prime Minister Jacinda Ardern calling on New Zealanders to choose a diverse and welcoming country in the aftermath of the Christchurch terror attack.